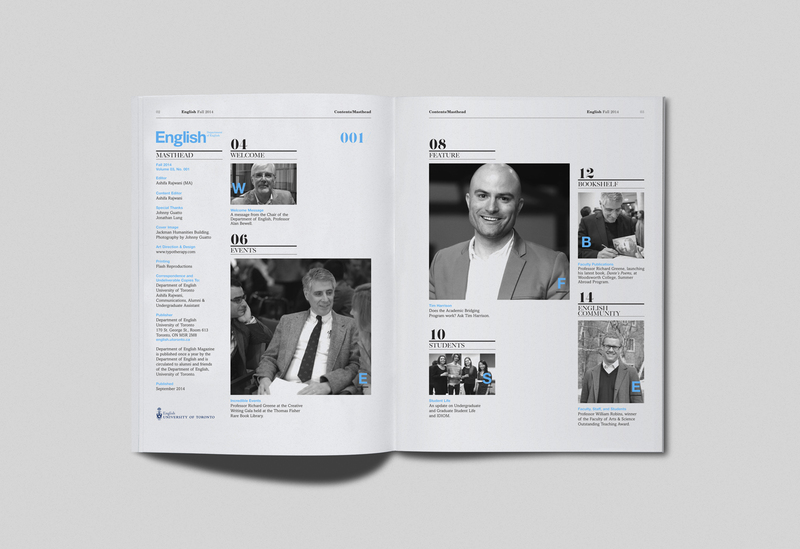 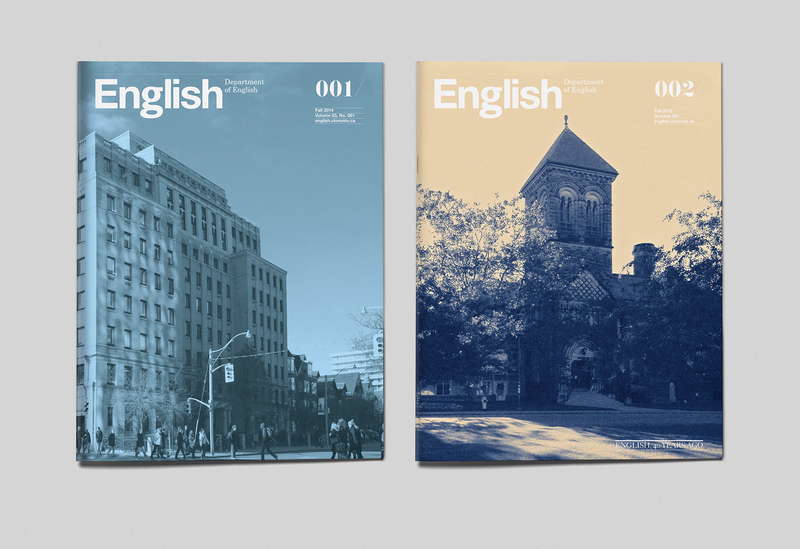 typotherapy recently redesigned the University of Toronto’s ‘English’ magazine. 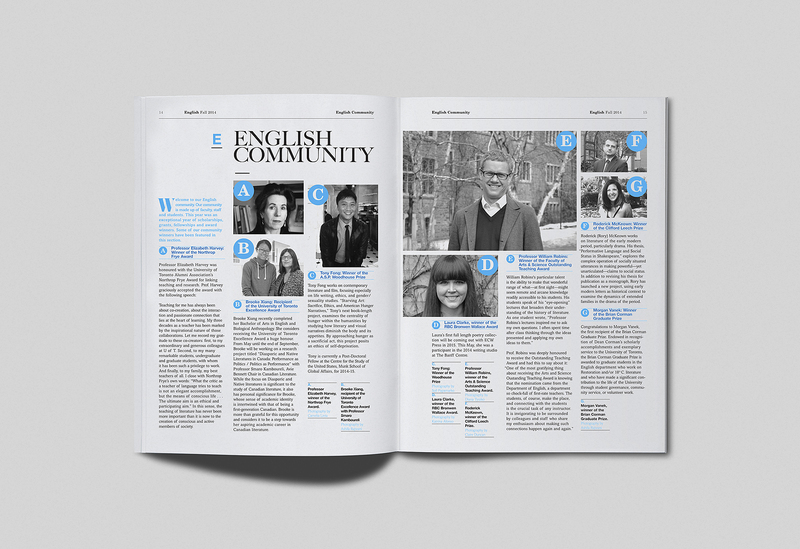 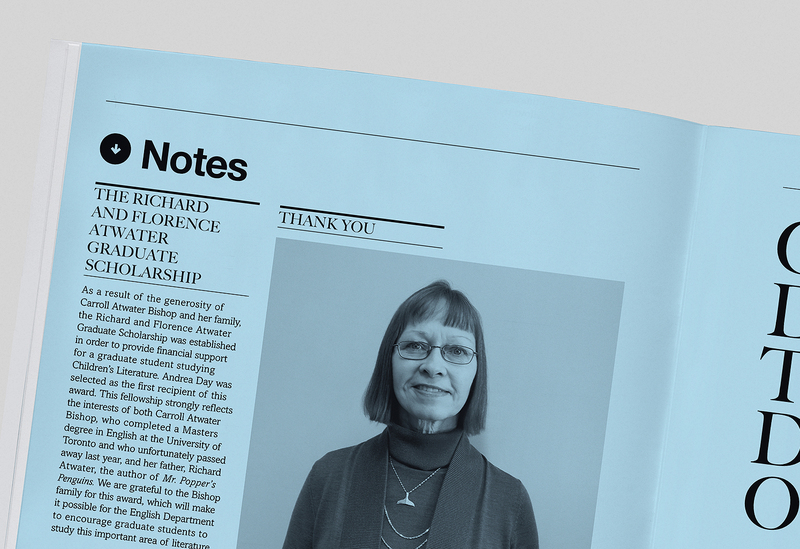 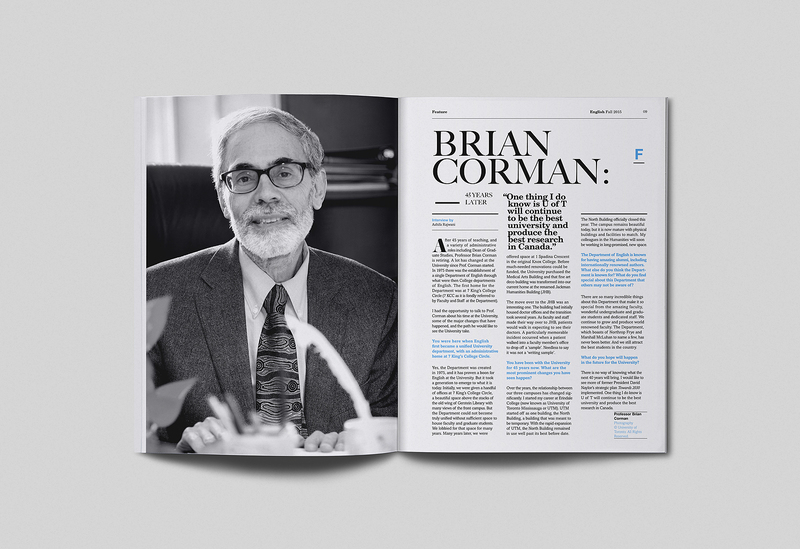 The purpose of the magazine is to act as a voice, communicate opinions, and to inform students and faculty about what’s happening in the Department of English. 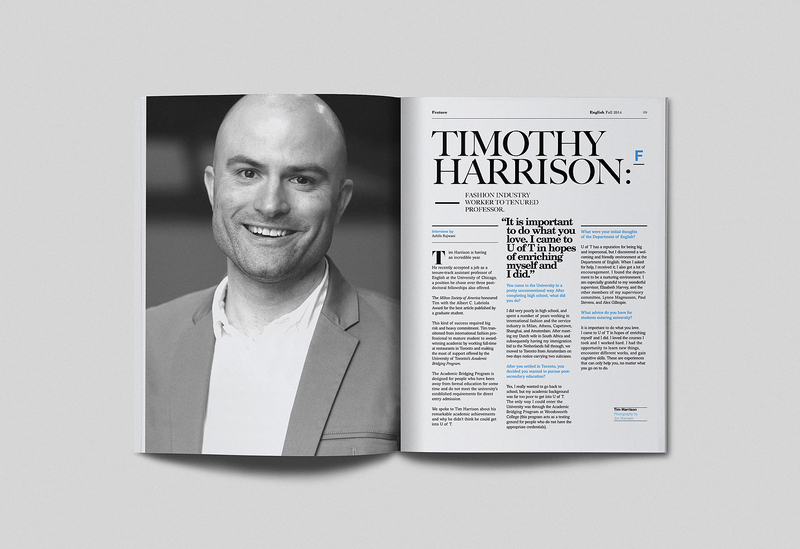 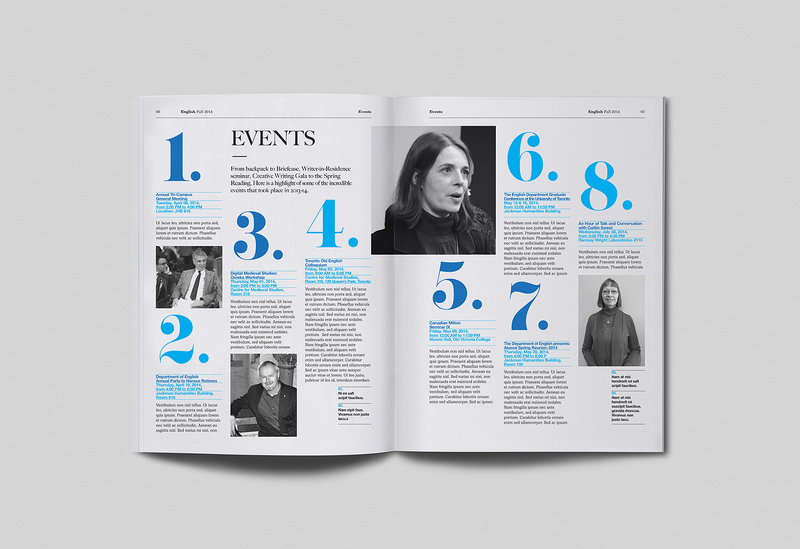 typotherapy developed the publication from its conception, together with its visual identity, and a complete redesign of the magazine; including on going art direction. 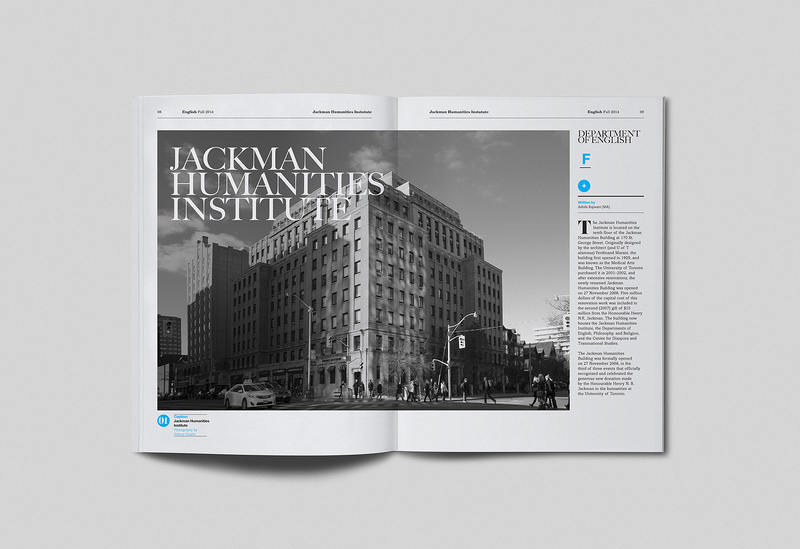 The redesign adopts a clean open concept editorial-driven esthetic, allowing distinct articles and features to emerge. 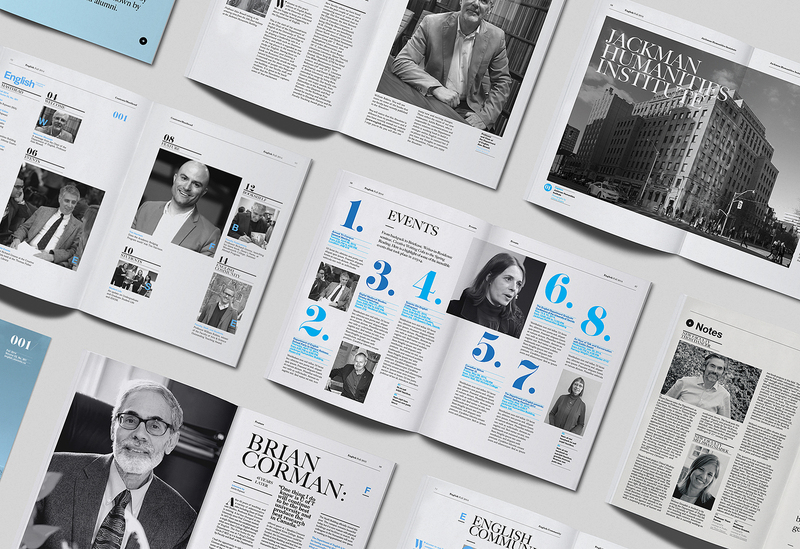 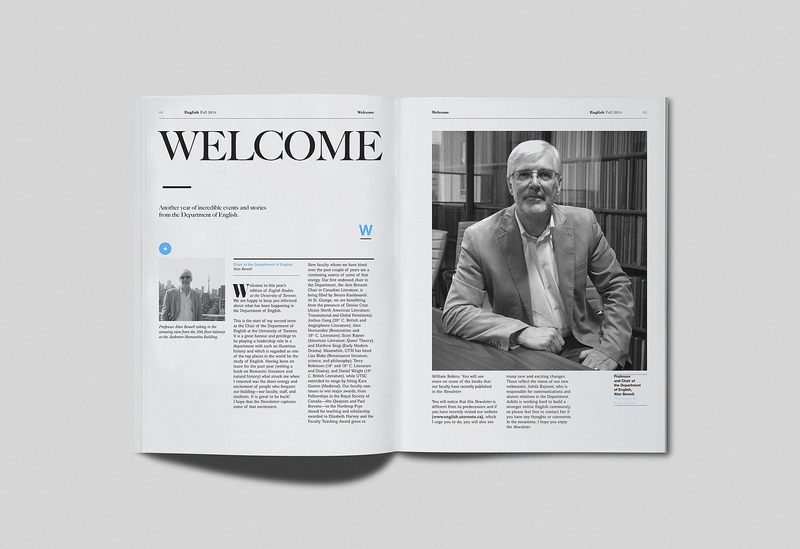 The new direction includes a refined grid system, a unique typographic format and a consistent sense of style for each issue, while establishing a tone of quality not usually achieved in standard academic publications.